The Maruti Suzuki Baleno is now India’s undisputed king in the premium hatchback segment. The Baleno closed 2017 with sales of 175,209 units, which meant that almost 15,000 Balenos were sold by Maruti each month. The second best selling premium hatchback – the Hyundai i20 Elite – was left far behind. Hyundai sold only 116,260 units of the i20 Elite. These figures by themselves are very, very impressive. But the Baleno’s massive success makes the i20 Elite like a slow seller. Such has been the dominance of the Maruti premium hatchback. In third place for 2017 is the Honda Jazz, with sales of just 29,980 units. The Volkswagen Polo sits a step below with sales of 21,210 in 2017. From these figures, it is easy to see that the Baleno and the i20 Elite command more than 85 % of the total premium hatchback market in India. Both cars are closely priced, and even offer similar features. However, the Baleno also has trump cards in the forms of affordable automatic variants, and a high-performance RS version that makes is India’s most affordable hot hatchback. The Baleno is offered with 3 engines – 2 in petrol and 1 in diesel. The petrol engines are the 1.2 liter-4 cylinder K-Series and 1 liter-3 cylinder BoosterJet turbocharged units. The 1.2 liter K-Series motor makes 82 Bhp-112 Nm and the 1 liter BoosterJet makes 101 Bhp-150 Nm. Both engines are offered with 5 speed manual transmissions. The K-Series engine also gets a cVT automatic option. The diesel engine option is a Fiat Multijet turbocharged unit displacing 1.3 liters, and with 74 Bhp-190 Nm on tap. Even the diesel engine is offered with a 5 speed manual gearbox. Prices of the Baleno start from Rs. 5.26 lakhs. Twin airbags and ABS are the safety features offered as standard across Baleno variants. 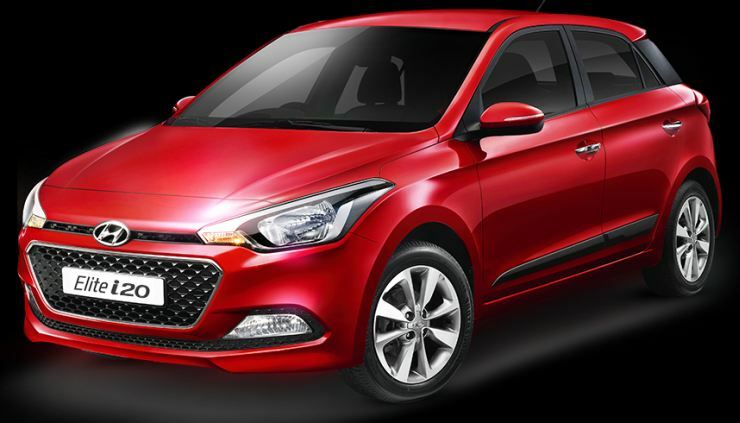 The Hyundai Elite i20 starts from a similar price tag of Rs. 5.29 lakhs. The Elite i20 uses 1.2 liter and 1.4 liter Kappa petrols, and 1.4 liter turbocharged diesel engines. The smaller petrol engine gets a 5 speed manual gearbox while the diesel engine gets a 6 speed manual gearbox. The bigger 1.4 liter petrol engine gets a 4 speed torque converter automatic gearbox.